Mubychem Group, established in 1976, is the pioneer manufacturer of Sodium Acetate Anhydrous Trihydrate, Pharmaceutical, Fragrance & Flavor chemicals in India. Mubychem Group has several manufacturing facilities spread across Gujarat and Mumbai India and world wide contacts and toll manufacturers. We are exporting globally to countries like USA, Europe, UAE, South Africa, Tanzania, Kenya, Egypt, Nigeria, Uganda, Turkey, Mexico, Brazil, Chile, Argentina, Dubai, Indonesia etc. Sodium acetate is used in the textile industry to neutralize	sulfuric acid waste streams, and as a photo resist while using	aniline dyes. It is also a pickling agent in chrome	tanning, and it helps to retard vulcanization of chloroprene in synthetic rubber production. It is also used as "hot-ice" in hand warmer. It is also used in consumer HEATING PADS or hand warmers and is also used in hot ice. Sodium acetate trihydrate crystals melt at 58 �C, dissolving in their water of crystallization. When they are heated to around 100 �C, and subsequently allowed to cool, the aqueous solution becomes supersaturated. This solution is capable of super cooling to room temperature without forming crystals. 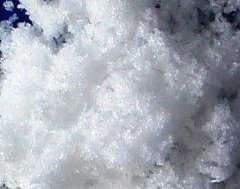 By clicking on a metal disc in the heating pad, a nucleation center is formed which causes the solution to crystallize into solid trihydrate crystals again. The bond-forming process of crystallization is exothermic, hence heat is emitted. The latent heat of fusion is about 264�289 kJ/kg. The MEDICAL & PHARMACEUTICAL industry uses it in formula for diuretic expectorants and systemic alkalizers. It is commonly used in dry blends for renal dialysis. The heat of crystallization generated by sodium acetate is widely and effectively used in the heat pack industry. I shall pass through this world, but once. If therefore, there is any good that I can do, or if there is any favor that I can show to a fellow human being, let me do it now. Let me not defer or neglect it. For I shall not tread this way again.